The easiest way to recieve recurring payments is through Direct Deposit. It puts the money into your First National 1870 checking or savings accounts automatically. Deposit your paychecks, Social Security benefits, tax refunds, pensions, Veteran benefits, retirement funds, and more. Because the funds are automatically placed into your designated account, you don't need to make an extra trip to the bank. 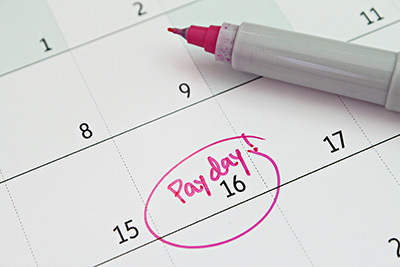 Ask your employer or payer (the company or person you're getting money from) if they offer Direct Deposit. If they do, complete their form and give them the necessary bank account information so that they can process your request. Enjoy the ease, speed, and security of having funds from any source deposited directly into your account.